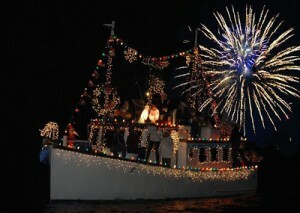 Christmas on the Water is a community-wide celebration for all different ages and will have many different events including fireworks, a boat parade and the lighting of the Town Green. One of the most exciting parts of the celebration, a nighttime parade of countless boats, in full holiday décor along the Biloxi waterfront- How awesome is that! The boats will parade from Broadwater Marina in west Biloxi to Point Cadet Marina. A firework show will cap off the parade! Christmas on the water tributes to the myraid cultural groups with the opening of “The Trees of Tullis” and the weekend wraps up with Caroling on the Green were families and friends gather on the Town Green to share hot chocolate, cookies, and sing holiday songs! This longstanding event is great for the entire family!